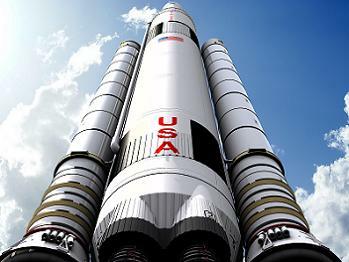 NASA’s Space Launch System (SLS) is deep into preparations for the key milestone of the Preliminary Design Review (PDR), which “kicks off” in June. Meanwhile, an interesting glimpse into the long-term plan for SLS points towards the favored use of a dual-use Upper Stage – powered by up to four RL-10 engines – known as the “Duce”. 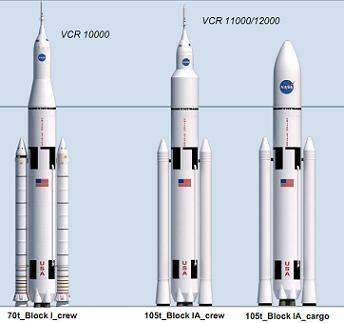 With the Space Launch System deep into its pre-PDR evaluations, the Heavy Lift Launch Vehicle (HLV) continues to avoid the problematic technical issues suffered by the rocket it technically replaced, namely the Ares I from the now-defunct Constellation Program (CxP). While Ares I had managed to get through the PDR stage prior to its demise, major SLS elements – such as the Core Stage – are already fast approaching the point of maturity Ares I’s Upper Stage had achieved. As such – and despite a compressed schedule to make its debut launch target in 2017 – SLS is on track and continues to enjoy several months of schedule margin. Of course, as with any rocket, SLS’ development thus far has not been trouble-free, with engineering teams successfully mitigating problems such as a required change to the slosh baffle design on the core stage. 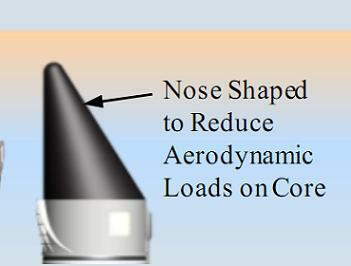 As noted in L2’s SLS Development Update Section, engineers are also looking at the design of the booster nose cones, due to an aeroacoustic loading issue – in the transonic flight region – impacting on the booster/core attach points, per evaluations. Initial information points to potentially changing the nose cone design to that seen on boosters used by Ariane 5, or indeed the cone design currently portrayed by ATK’s Advanced Boosters, in order to mitigate the issue. Notably, per all recent information, none of SLS’ challenges have resulted in a major concern on its report cards, unlike Ares I’s troublesome childhood. A huge amount of work has already taken place at the pre-PDR level, with some elements of the Core Stage already eyeing the next big milestone – the Critical Design Review (CDR) in 2015. 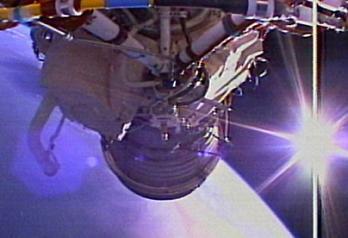 The depth of the PDR can be seen via one status update that noted one department’s “data pack” consisted of over 300 documents – 200 of which were created for the Interim Cryogenic Propulsion Stage (ICPS) by Boeing/United Launch Alliance (ULA) – before being sent for review at five NASA centers. Per L2 information, the review of that PDR data pack – for the Spacecraft and Payload Integration Office (SPIO) – is now complete, with the reviewers adding what are known as candidate Review Item Discrepancies (RIDs). 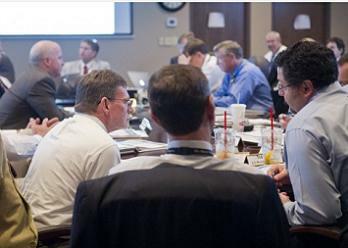 A series of meetings have now begun to evaluate and categorize the RIDs, via a complex process that will last as late as June 14. The disposition of the RIDs will be reviewed by the SPIO PDR Pre-Board on June 20, and final approval of all RID dispositions will be completed by the PDR Board on June 27. Following the Board meeting, document developers will begin the process of implementing the RIDs in the documents. 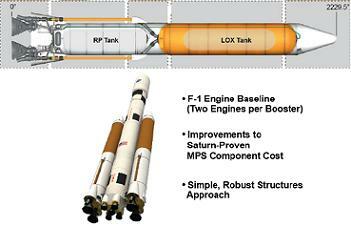 Meanwhile, the data pack for the SLS PDR was released to reviewers on Friday (May 31). The reviewers have until June 28 to submit candidate RIDs. The formal “kick off” for the SLS PDR is on track for June 18-19. 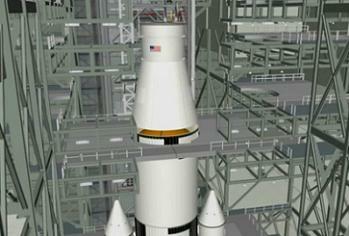 Once the PDR is complete, all SLS elements will progress towards the CDR. Two more review milestones will follow ahead of the debut launch of the SLS, with the Design Certification Review (DCR) followed by the Flight Readiness Review (FRR) – the latter ensuring all open items from DCR are closed out prior to flight. Per L2 information, one of the documents in the SLS PDR data pack is the “Evolvability Report”, which is a technical evaluation for potential development paths by which the Block 1 SLS can be “evolved” to its full capability, as required by Congress. SLS will initially launch as a Block 1 vehicle, with a 70mT capability, conducting the opening salvo of Beyond Earth Orbit (BEO) adventures, such as Exploration Mission -1 (EM-1), an uncrewed mission to send Orion on a test flight around the Moon, and Exploration Mission -2 (EM-2). which involves sending a crewed Orion on a mission to meet up with a captured asteroid in the vicinity of the Moon. By the mid-2020s, SLS will evolve to a Block 1A vehicle with a 105mT capability, using Advanced Boosters, utilizing either Solid or Liquid fueled options. A Block 1B option may also be available, with a 118mT capability, as explained later in the article. The final evolution will be to the Block 2 SLS, which is classed as the flagship launch vehicle for crewed missions to Mars. While the Evolvability Report is nothing more than a technical evaluation for decision makers – and does not represent any actual decisions by NASA for future SLS development – it does provide an interesting insight into SLS’ growth options. Option 1 begins with development of the Advanced Boosters, followed by the use of the J-2X Upper Stage, the increase to five RS-25E engines on the Core Stage, prior to the addition of a five meter diameter Cryogenic Propulsion Stage (CPS). Option 2 also begins with development of the Advanced Boosters, followed by the five meter CPS, then the J-2X Upper Stage, and finally move to a five engine Core Stage. Option 3 takes SLS along a different path, with the development of a Dual-Use Upper Stage (DUUS – pronounced “Duce”), followed by development of the Advanced Boosters. Per L2 information, each of the options were evaluated for their “mission capture” attributes, or how soon each of the Design Reference Missions (DRM) maintained by the Human Architecture Team (HAT) are enabled by the increased capability of the SLS via each improvement – such as the increase in payload capability when the Advanced Boosters debut with the HLV. While the HAT are still working on the future missions, from EM-3 onwards, the SLS Evolvability Report concludes that Option 3 achieves the best “mission capture” results, followed by Option 2. The finding adds yet more weight to source notes over recent years that the J-2X is by no means assured of a role with the SLS. Expanding on the DUUS option, this stage – driven by up to four RL-10 engines – would be tasked with completing the ascent phase of the SLS after Core Stage burnout, before then operating as an In-Space Stage – hence, the “dual use” tag – to conduct the Trans-Lunar Injection (TLI) burn for an Orion spacecraft, coast to the Moon and conduct the Lunar Orbit Injection (LOI) burn. Then, after Orion separates, it would conduct a disposal maneuver to crash the stage into the Moon. The DUUS was studied in three possible configurations, namely the 8450, 8455, and 8463 models. Each configuration consists of an 8.4-meter diameter LH2 tank and LOX tank – the latter with diameters of 5.0, 5.5, and 6.3 meters, respectively. The 8450 model would be able to take advantage of existing manufacturing capabilities for the construction of the LOX tank, as such this model is expected to be the cheapest to produce. However, the 8463 model is the shortest of the three configurations, which would allow for the optimum payload height during integration processing inside the Vehicle Assembly Building (VAB). Follow on information notes the advantages of an 8.4m DUUS on an 8.4m core includes the potential for a common bulkhead between LOX and LH2 tanks, and – in addition to the high efficiency engines – this should equate to less stage dry mass, resulting in additional payload up-mass capability. 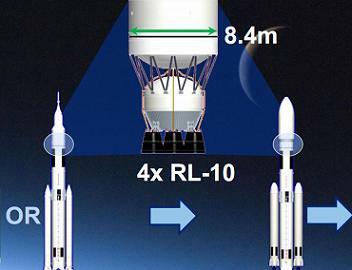 Documentation from 2012 also pointed towards the evaluations into using the RL-10 driven stage, showing the SLS Block 1B, using Five Segment Boosters, resulting in an up-mass capability of 118mT to Low Earth Orbit (LEO) and 43mT to Beyond Earth Orbit (BEO). The information also shows the SLS Block 2 – again with the 8.4 meter diameter 4xRL-10 stage – with Advanced Boosters, allowing for an up-mass capability of 155mT to LEO and 61mT to BEO. While the forward path for evaluating all of the options will result in no immediate decisions, the “Duce” is already being cited as a large money-saver, not least because it would likely allow SLS to remain with its four RS-25E’s on the core stage, removing the redesign requirements to move to a five engine core when SLS evolves.